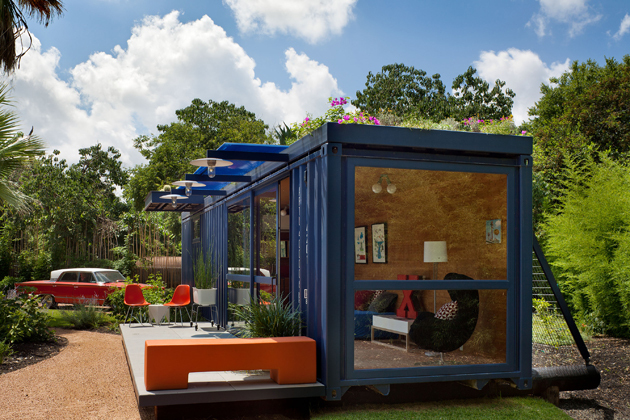 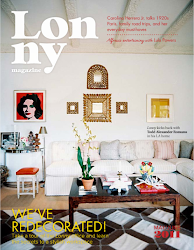 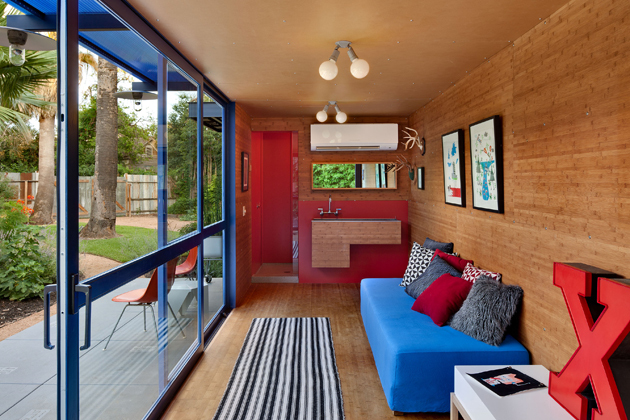 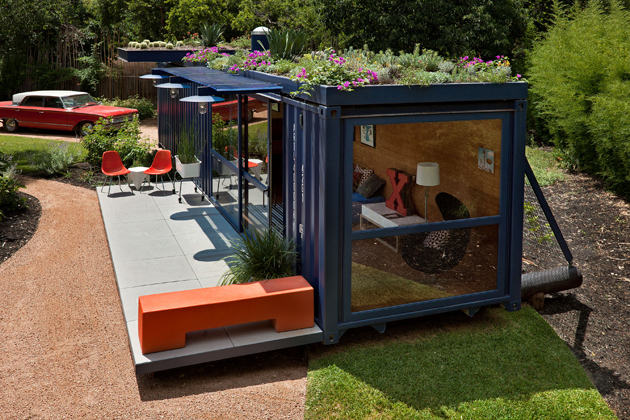 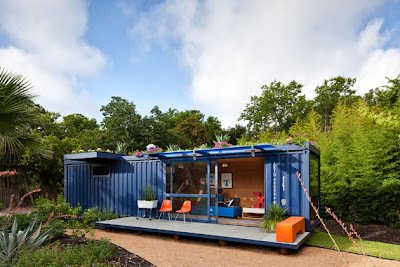 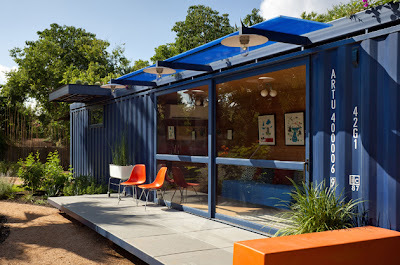 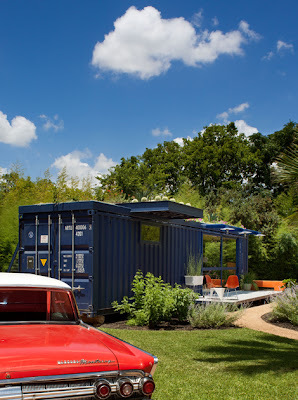 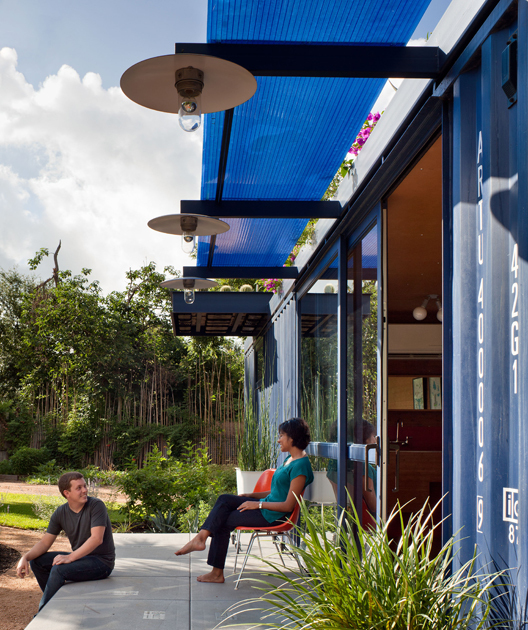 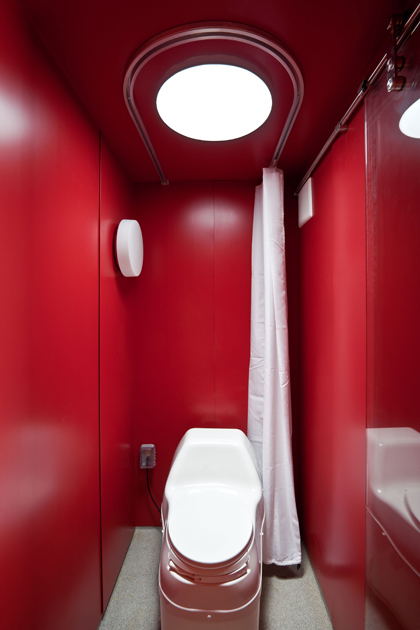 this fab container guest house is just one of Poteet Architects uses of sustainable design. 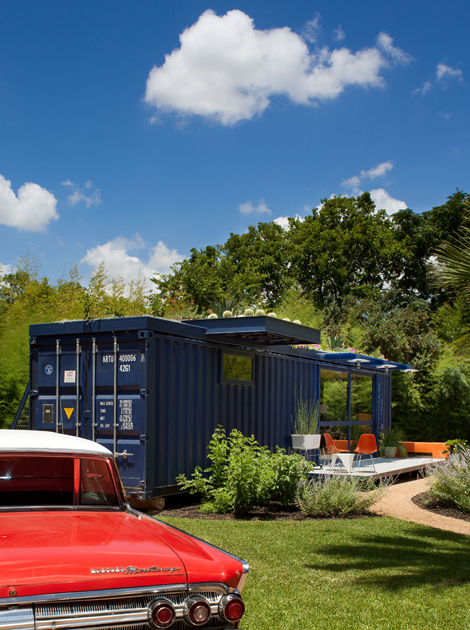 founder Jim Poteet's San Antonio firm is best known for their adaptive reuse of existing buildings and a fresh approach to modern design. 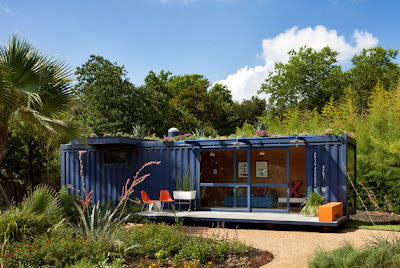 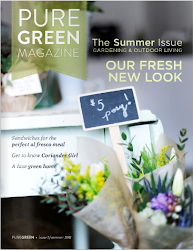 i am so looking forward to the day that i can have my own little guest house with a green roof, composting toilet and reclaimed materials.